For the first time, a severe drought has hit central provinces before Tet holidays (Lunar New Year starting on February 14), two months earlier that usual. The many causes for this climate change include human activities, including the destruction of jungles in the headstream, the mining of rivers for gold and the construction of hydroelectric plants. The Hydro Meteorological Forecast Center of the central province of Quang Ngai, said the Tra Khuc River began drying up in 1985 when construction of the Thach Nham Dam commenced, in order to accumulate 30,000 hectare of water for rice and vegetable fields. Now the river has become a virtual desert. Residents of the central province of Binh Dinh can only use 5,450 cubic meters per year, which is less than the average level of the country and the world in general. 480,000 residents still suffer from severe water shortages, although it has four great river systems including rivers Kon, Lai, La Tinh and Ha Thanh. When River Hinh Hydropower commenced operations, it forced district River Hinh residents to evacuate. They settled in higher elevations. Only when it rains, do they have water for daily activities and cooking. During the summer months, they have no choice but to walk a kilometer to obtain water from nearby lakes and springs. Unfortunately, toxic pollution taints this water source. Water shortages have also occurred in some mountainous regions. 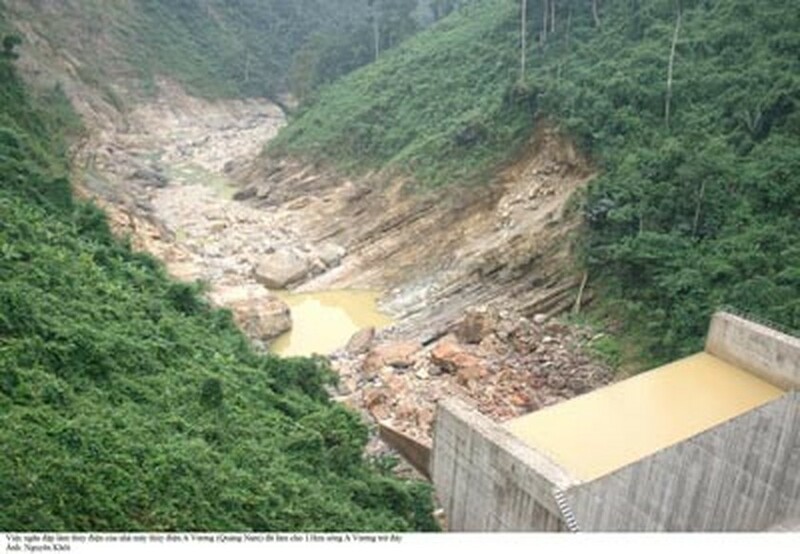 Years ago, irrigation experts warned the worst droughts and floods would occur in districts located along the rivers Vu Gia and Thu Bon, due to critical devastation of jungles. Human activity destroys hundreds of hectares of natural jungles in Truong Son Mountain every year. Last year, storms caused great losses for residents in the central provinces of Phu Yen and Quang Nam. One of the main causes is the disappearance of jungles destroyed to make room for the construction hydropower plants. At scientific seminar held last April, scientists advised the country should seriously consider building hydropower plants as droughts were sure to hit the country more severely in the years to come.